SPRING IS ON ITS WAY! There is nothing better on a cold winter day than to have something to look forward to in spring. Make sure that the 13th Annual Half-Pint Resale to your April calendar! (Lucky 13!) 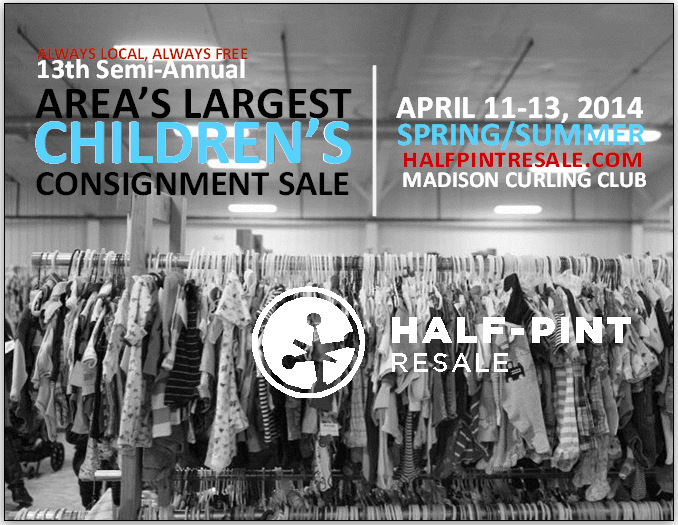 We’re excited to have our fifth sale at the awesome and spacious Madison Curling Club. 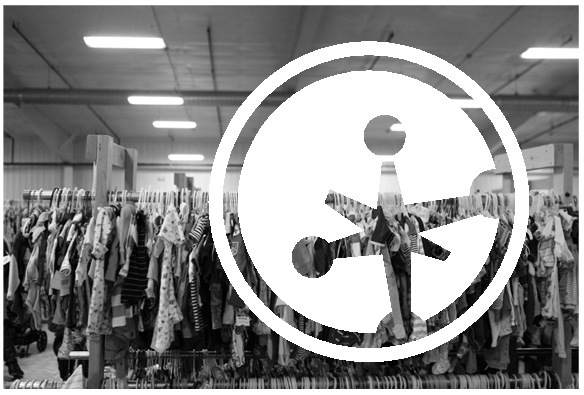 Have you been to Half-Pint Resale? 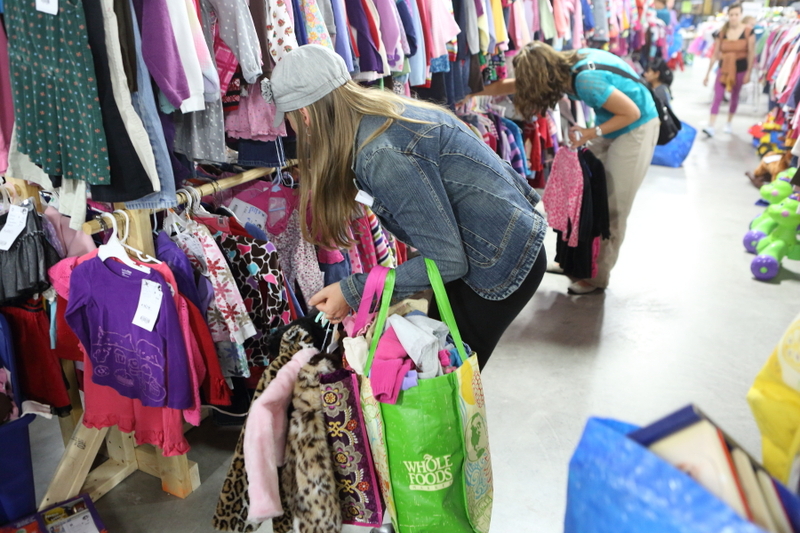 It’s the area’s largest children’s consignment sale, with items for kids ages 0-12, pregnant mommas, and new parents. With tens of thousands of items sold in just three days (see the pictures! 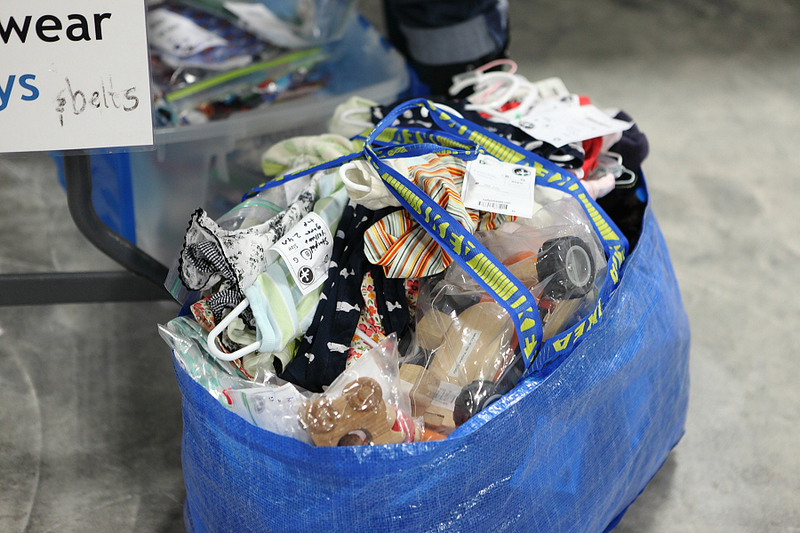 ), local families can put their gently used goods back into the community and some money back in their pockets, and shoppers get great deals, knowing that their dollars are heading right back into the community. Because of our commitment to the community, we’re a member of Dane Buy Local and hope to introduce you to other great local, independent and community-centered businesses through their wide network. Let’s get the sale on your calendar – a several hour volunteer presale (allowing for folks to vary when they arrive, and how long they stay), a bit later consignor presale (making it easier to come after you or your partner’s work day), and a FULL DAY OF SATURDAY PUBLIC SALE SHOPPING that starts early in the morning for your thrifty early-birds, and extends late enough into the evening that allows you to spend the daytime with your fam, and your early evening catching bargains. Finally, you can find even more good deals running into Sunday during the Half-Price sale. For those of you shop our presales, we highly recommend taking a second look at the sale post the presales because there are things you’ll never see until they are unearthed! We have a lot of fun, so you should Join us! Plus, you get in to the first Presale! There are many kinds of volunteer opportunities and a huge variety of times available.